Air Traffic Control Association (ATCA) - Dedicated to progress in the science of air traffic control and the preservation of a safe flight environment. Air Transport Association (ATA) - Trade organization for the principal U.S. airlines. Aircraft Owners and Pilots Association (AOPA) - Prominent aviation association providing representation at the federal, state, and local levels and legal services, advice, and other assistance. Airports Council International North America (ACI-NA) - Represents local, regional, state, and national governing bodies that own and operate commercial airports in the U.S.
Alameda Transportation Authority (ACTA) - The Alameda Corridor is located in southern Los Angeles County, California, running from the ports of Long Beach and Los Angeles 20 miles north to downtown Los Angeles, primarily along and adjacent to Alameda Street. The project extends through or borders the cities of Vernon, Huntington Park, South Gate, Lynwood, Compton, Carson, Los Angeles, and the County of Los Angeles. Alliance of Automobile Manufacturers - A coalition of 13 car and light truck manufacturers, representing BMW Group, DaimlerChrysler Corporation, Fiat Auto S.p.A, Ford Motor Company, General Motors Corporation, Isuzu Motors America, Inc., Mazda North American Operations, Mitsubishi Motor Sales of American, Inc., Nissan North America, Inc., Porsche Cars North America, Inc., Toyota Motor North America, Inc., Volkswagen of America, Inc., and Volvo Cars of North America, Inc.
American Association of Airport Executives (AAAE) - Organization for airport executives representing thousands of airport management personnel at public use airports nationwide. American Public Transportation Association (APTA) - Association of over 1,200 member organizations including transit systems; planning, design, construction and finance firms; product and service providers; academic institutions, and state associations and departments of transportation. American Road and Transportation Builders Association (ARTBA) - National federation of private firms, public agencies and associations advocating federal investment in transportation infrastructure. 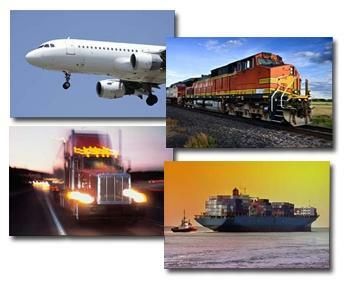 American Trucking Associations (ATA) - Serving the interests of the trucking industry. Association of American Railroads (AAR) - Represents North America's major freight railroads and Amtrak. Automotive Industry Action Group (AIAG) - A a globally recognized organization founded managers from DaimlerChrysler, Ford, and General Motors. The purpose: To provide an open forum where members cooperate in developing and promoting solutions that enhance the prosperity of the automotive industry. AIAG members play a unique role in the development of new technologies and the standards that govern their usage. Community Transportation Association (CTA) - Network of community-based agencies providing the elderly access to services, mobility for people with disabilities, and connections to training facilities and jobs for the poor and unemployed. Electric Vehicle Association of the Americas (EVAA) - Industry association working to advance electric vehicles and supporting infrastructure through policy, information and market development initiatives in the U.S., and to serve as the Americas' representative to the World Electric Vehicle Association. Flight Safety Foundation - International organization evaluating aviation safety. General Aviation Manufacturers Association (GAMA) - A national trade association representing over 50 American manufacturers of fixed-wing general aviation aircraft, engines, avionics, and component parts. Helicopter Association International (HAI) - Association dedicated to the advancement of the civil helicopter industry. High Speed Ground Transportation Association - Working for public funding to build - through public-private partnerships - a network of high-speed trains in the U.S.
Institute of Transportation Engineers (ITE) - Traffic engineers, transportation planners and other professionals who are responsible for meeting society's needs for surface transportation through planning, design, implemention, operation and maintainance of surface transportation systems worldwide. International Bridge, Tunnel and Turnpike Association (IBTTA) - Alliance of toll operators and associated toll-financed transportation services industries. Maglev Monorails - Focuses on maglevs that share the same characteristics as monorail. The promise of trains with aircraft speeds in safety is enticing, perhaps maglev monorail's time has come. Metropolitan Transportation Authority (MTA- New York) - MTA subways, buses, and railroads move 2.3 billion New Yorkers a year, about one in every three users of mass transit in the United States and two-thirds of the nation's rail riders. MTA bridges and tunnels carry nearly 300 million vehicles annually - more than any bridge and tunnel authority in the nation. Monorail Society, The - Learn about monorails. Motor Freight Carriers Association (MFCA) - The national trade association representing unionized less-than-truckload (LTL) motor carriers. National Air Transportation Association (NATA) - National trade association representing the business interests of general aviation service companies in federal legislative and regulatory matters. National Association of Railroad Passengers (NARP) - NARP is an alliance of railroad passengers and citizens who want a transportation choice in this country. NARP is the only national organization speaking for the users of passenger trains and rail transit. Regional Airline Association (RAA) - Represents U.S. regional airlines, and suppliers of products and services supporting the industry, before the U.S. Congress, Federal Aviation Administration, Department of Transportation and other federal and state agencies. Rubber Manufacturer's Association - Leading business advocate, resource and information clearinghouse for and about today's diversified rubber industry. Transportation Institute - Washington-based, non-profit organization dedicated to maritime research education and promotion. 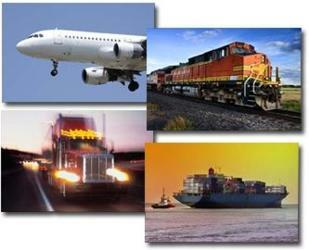 Transportation Research Board (TRB) - Promotes innovation and progress in transportation through research. TRB is one of six major divisions of the National Research Council - a private, nonprofit institution that is the principal operating agency of the National Academies in providing services to the government, the public, and the scientific and engineering communities. The National Research Council is jointly administered by the National Academy of Sciences, the National Academy of Engineering, and the Institute of Medicine. Transportation Security Administration (TSA) - Protects U.S. transportation systems to ensure freedom of movement for people and commerce. Truckload Carriers Association (TCA) - Represents truckload carriers operating within North America who employ both company drivers and owner-operators. Victoria Transport Policy Institute - An independent research organization dedicated to developing innovative and practical solutions to transportation problems. Provides resources to help improve transportation planning and policy analysis. This webpage last updated on Sunday, April 24, 2016 9:37 AM.